Hello, does anyone know which AI family hotels have heated pools in the winter months (Dec-Feb)? All inclusive resorts with heated pools in the winter? Enjoyed a very nice dinner here. The food was very good and the service was great also. The atmosphere was very nice as well. Is whole milk available in Barcelo Maya Colonial? Great experience. Quick service to and from hotel. They were waiting for us at the airport and were on time to pick us up. Comfortable and private shuttle ride. Amazing resort with incredible staff!!! 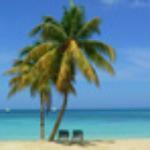 How much is the safe at Gran Bahia Bavaro? I heard that the safe is very expensive at the gran Bahia Bavaro resort. Does anyone know the daily charge? Thanks.